This year for Christmas, I wanted one thing and one thing only.... an Ipad! So I pulled my giftcards together and came up with half the money needed to buy one. My mom said that for my christmas gift she would pay the difference. I got my ipad! I was so excited, I love everything about it! There is one thing about it that I do not love, the fingerprints left behind! Luckily, I had the chance to review these screen cleaning wipes! 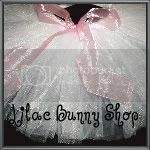 I loved these and would recommend them to everyone! I love that they have 2 wipes per package. One wet wipe and one dry wipe to keep from streaking! My Ipad has not had a finger print since I used these last week!! Leave A Comment telling me what products you would use these wipes on. Also be sure to leave your email address so I can get in touch with you! Winner will have 48 hours to respond to my email notifying them that they are the winner. This Contest is open to US only. I follow Brilliant Lenses Screen Cleaning on twitter. 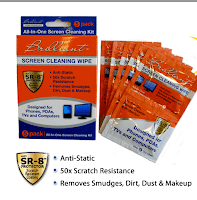 I would use Brilliant Lenses Screen Cleaning wipes on my laptop, desktop, and tv screens. I Follow Brilliant Lenses Screen Cleaning Wipes on facebook.